Welcome to first test event of NationStates Fencing. Fencing, as you know, is a combat sport, or better saying, a group of three related combat sports, Foil, Épée and Sabre. It's somewhat popular in Lisander and other nations in Imperan League, with a nice growth curve. For this test event, competitions of Individual and Team Foil, Épée and Sabre will be hosted in Stella Maris, a small seaside city in Northern Lisander. More info about the hosting city should be brought in the Everything Thread. The format will depend on the number of participants, but ideally, it's a Knockout Tournament. 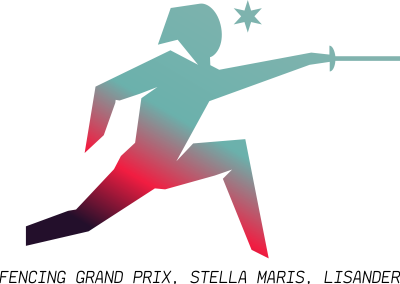 Since the first (also last) Fencing Grand Prix is now about four years in the past, and considering the fact of most of the participant nations don't exist anymore, no ranks will apply. RP bonus will be generous and cumulative. Also, despite the Lisanderian tradition of men and women competing separately, this event provides for gender equality among its competitors. We understand that this is the international standard and we respect it. Last but not least, considering this tournament is a test event and won't count to rankings, no puppet policy will be enforced. You are free to signup as much fencers you want to. You're free to sign them as individual fencers from different nations, but for team competition, they should be under only one NS nation. Signups will be open until November 14, 23h59 GMT. Everything thread will be posted the following day. Last edited by Lisander on Tue Oct 30, 2018 8:15 am, edited 1 time in total. I have halved what we would send to the Olympics. Please send me a message if it's too many, and I will make a full. This is a good event to act as my qualifiers leading up to the Olympics. Last edited by West Phoenicia on Mon Nov 19, 2018 12:56 pm, edited 1 time in total. Headlines from my nation: "New and Improved Parents Concerned About Youth Employment"
My Political Compass Results = Economic 0.0, Social 1.28. I argue. A lot, and no I won't get off your lawn, I'll kick up the lawn. Question: how will these matches be scored? A m e n r i a wrote: Question: how will these matches be scored? Good, old and plain xkoranate. 31 hours before the end of the deadline, this is the last bump. Tomorrow 23h59 is the end of signups. Last edited by Rhaecia on Mon Nov 19, 2018 10:54 pm, edited 1 time in total. A mix of italian/german/dutch heritages in a small state. Puppet of Lisander.